Lebanon lies to the east of the Mediterranean and bordered by Syria and Palestine. It is a mountainous country and between the two parallel mountain ranges of Jebel Lubnan and Jebel esh Sharqi lies the fertile Bekaa Valley. Almost half of the land lies at an altitude of over 900m. Lebanon’s climate has four distinct seasons. Summer (June to September) is hot on the coast but cooler in mountainous areas. Spring and autumn are pleasantly warm. Winter (December to mid-March) is often rainy with snow in the mountains. 10,452 sq km (4036 sq miles). The official language is Arabic, followed by French as the second language; English is widely spoken. Kurdish and Armenian are spoken by a small percentage of the population. Islam and Christianity are the main religions. Islam (predominantly Shi’ite) accounts for approximately 40 per cent of the population’s beliefs. Christianity denominations, mainly Greek Orthodox, Maronite, Armenian and Protestant account for another 40 per cent. Other religions account for the remaining 20 per cent. GMT + 2 (GMT + 3 from April to September). Lebanon is a country rich in history – the town of Byblos is reputedly the oldest town in the world, with Phoenician, Egyptian and Byzantine influences. The city of Baalbek is a fascinating place to visit as it contains one of the best-preserved temple areas of the Roman world in existence. Tyre’s archaeological sites, divided into three distinct areas contain impressive remains of ancient cultures. The city is now a UNESCO World Heritage Site, and it is here where Jesus once turned water into wine. Beirut, once known as the ‘Paris of the East’ has a magnificent location on the largest rocky promontory of the Mediterranean coast. It is unique among world capitals in being at the crossroads of three continents; the three great monotheistic religions, the Oriental and Western cultures. 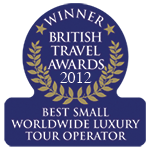 Don’t miss the National Archaeological Museum, the Grand Omari Mosque or St Elie of the Greek Catholics Cathedral. Tripoli, in the north, has its old medieval centre at the foot of the Crusader Castle and the port area has numerous fish markets and restaurants. The Acropolis of Baalbeck, in the Beqaa valley is the largest and best preserved corpus of Roman architecture remaining in the world. The ruins consist of two temples dedicated to Jupiter, Venus and Bacchus, two courtyards and a boundary wall. Lebanese cuisine is widely acknowledged to be the finest in the Middle East. Such a variety of scenery is packed into this small country that there are few places to equal it in beauty and diversity. The Phoenicians, the Romans, Christian Crusaders, Umayyad, Mamlouks, Ottomans and the French have all left their mark here. Famous cedar trees grow high in the mountains, where the peaks can be snow-capped despite the hot sunshine below, while the lower slopes bear grapes, apricots, plums, peaches, figs, olives and barley, often on terraces painstakingly cut out from the mountainsides. On the coastal plain citrus fruits abound, and the thriving party city of Beirut lazes on the banks of Mediterranean waters. With exquisite cuisine based around all those fresh herbs fruit and vegetables, sandy beaches to relax on in the summer and winter sports available in the mountains, tiny Lebanon has an awful lot to offer. A history of guaranteeing civil rights and freedoms to its citizens also sets it apart from many Middle Eastern nations and gives it status as a remarkable crossroads between East and West. Before the onset of the war in the mid 1970s, Beirut was the major financial and commercial centre for the Middle East, but 17 years of war partly destroyed the Lebanese economy. Now, however, Lebanon is re-emerging as a functioning society and economy. 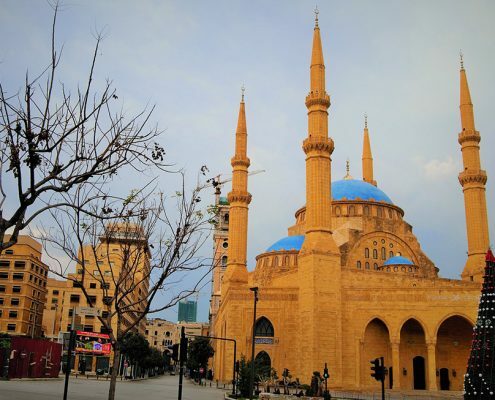 Lebanon’s enviable geographical location on the edge of the Mediterranean and at the crossroads between Europe and the Middle East has shaped its historical, cultural and political identity. The earliest evidence of civilisation in Lebanon dates back over 7,000 years. Following this period the area became a stronghold of the Phoenicians, a powerful seafaring civilisation which flourished for over 2,500 years and founded key trading ports including Tyre, Tripoli and Byblos. During the sixteenth century the region came under the rule of the Turks, during the major expansion of the Ottoman Empire, until the end of the First World War. Lebanon, in its present form, was born in 1920 under the French Mandate, which administered the country until Lebanon gained independence and became a republic in 1943. 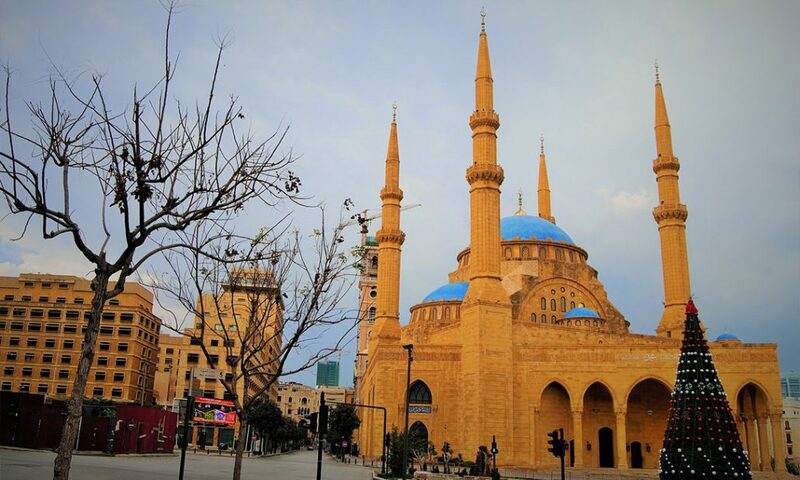 For several decades Lebanon’s diverse religious communities existed in relative harmony and the country developed a thriving economy. Meanwhile, Beirut become one of the most fashionable cities in the Mediterranean, welcoming thousands of visitors per year. However, in the early 1970s large numbers of PLO (Palestine Liberation Organization) fighters expelled from Jordan sought refuge in Lebanon, culminating in 1975 in civil war with a coalition of Christian groups like the Phalange against the PLO, the Druze and Muslim militias. After the war began in 1975, Beirut was divide by the ‘Green Line’, into the Christian-dominated east of the city and the Muslim west. In 1982 the presence of the PLO in Lebanon ultimately led Israel to invade. Following much international criticism the Israelis ultimately retreated to a self-declared security zone in Southern Lebanon controlled by the Israeli Defence Forces and locally recruited Christian militia, the South Lebanon Army. This zone saw intense guerrilla fighting with Hezbollah, despite continuing international efforts at peace keeping. In the rest of the country, the Syrian army proved to be the ultimate broker of a political settlement to the civil war in 1989. The peace plan saw the election of a National Assembly and a Charter for National Reconciliation, known as the Taif Accord. An outline timetable for Syrian withdrawal from Lebanon followed. Peace finally returned to Lebanon in 1990. Nevertheless, many Palestinian refugees remained in Lebanese camps after the end of the civil war and fighting continued in southern Lebanon between Israel and Shia militia until Israeli occupation ended in 2000. In what was by now a more stable political environment, the lengthy process of rebuilding Beirut began in earnest. On 14 February 2005 former Lebanese Prime Minister Rafic Hariri was assassinated in a bomb attack that killed 19 others and injured over 200 in downtown Beirut. In Lebanon it was widely believed Syria was involved in the attack, which sparked mass protests demanding the departure of Syrian troops. Following much international and domestic pressure, Syrian troops eventually withdrew later that year and elections for the Lebanese National Assembly followed soon after. Since 2006 Lebanon has been embroiled in political crisis. A major conflict erupted between Lebanon and Israel, which resulted in heavy fighting and large-scale loss of life on both sides of the border. A ceasefire was finally brokered after the US Security Council intervened. Later that year, several Shia members of parliament resigned over plans to investigate the death of Rafiq Hariri and the government subsquently collapsed. In 2009 Rafiq Hariri’s son, Saad Hariri was elected prime minister, forming a national unity government. The ensuing stability was only temporary, shaken by suggestions that Hezbollah may have been involved in Hariri’s death. In January 2011, the government collapsed once again. Politics since then have been dominated by efforts to contain sectarian tensions, violence and economic fallout from the conflict in neighbouring Syria.